Time and again, our appetite for tasty seafood pushes our favorite species to the brink of collapse. We’ve seen it with North Atlantic cod, Pacific bluefin tuna, Peruvian sardines, and more. But it doesn’t have to be this way. 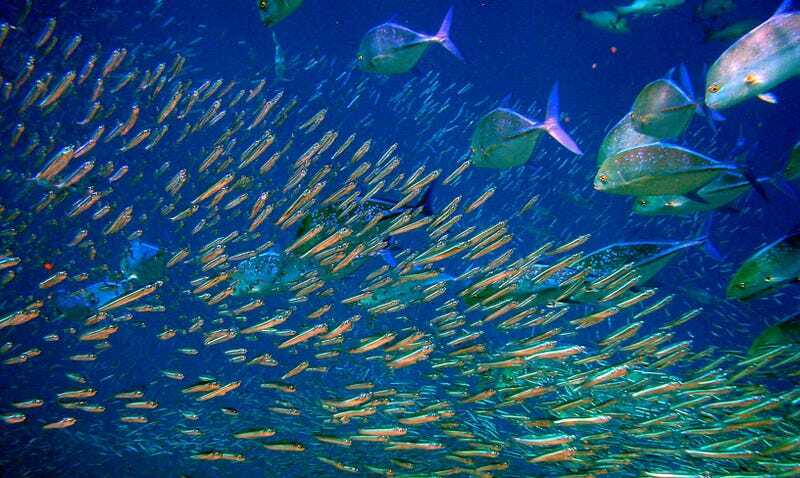 A new study finds that the majority of the planet’s fisheries could be sustainable within ten years, and commercial fish stocks could double by 2050—if the world adopted a few common-sense management strategies. Today, a full 85 percent of the world’s fisheries are considered fully exploited or overexploited. Countless studies have made the grim prediction that we’re headed for a global fisheries collapse if we don’t get our act together. But with a better incentives structure and scientifically-defined catch limits, the oceans could rebound fast. That’s according to Leland and a team of researchers at the Environmental Defense Fund, the University of California Santa Barbara, and the University of Washington. They spent years analyzing data on 4,713 fisheries that collectively represent 78 percent of our global catch. Their key finding, published today in the Proceedings of the National Academies of Science, is surprisingly straightforward: we need to hand stewardship of fisheries back to fishermen. Fisheries in the United States, Australia, Belize, Namibia, and elsewhere have turned to fishing rights systems in recent years, with remarkable success. The new study highlights just how transformative this strategy could be if applied on a global scale. Roughly 3 billion people rely on wild-caught fish as a critical protein source today, and that number is rising. With better management, the authors estimate that wild-caught fish could feed another half billion humans in the near future. Between climate change, ocean acidification, pollution and exploitation, marine ecosystems are more threatened today than they’ve ever been in human history. Overfishing is one piece of a much larger puzzle—but it’s a piece where humans can affect fast and lasting change.